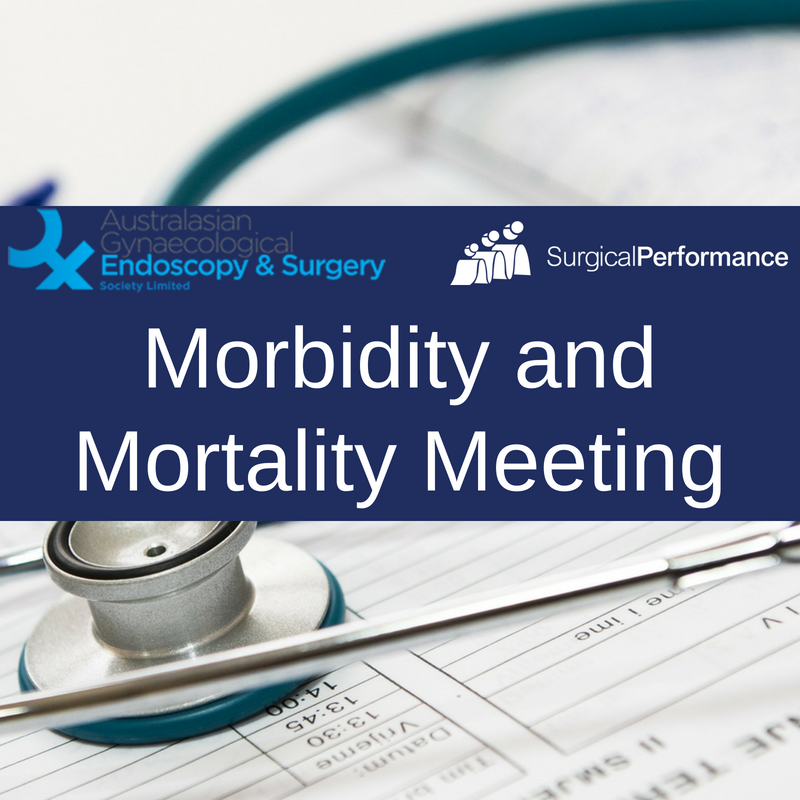 SurgicalPerformance and AGES are proud to announce our first collaborative Morbidity & Mortality meeting on 15 AUG 2018 at 8 pm. The partnership between SurgicalPerformance and AGES is going very well. There are now 115 AGES members who take advantage of Premium SurgicalPerformance subscriptions as part of their membership benefits (fully funded by AGES). From our discussions and feedback, we understand some surgeons aren’t able or don’t feel comfortable to discuss challenging cases and management options with their peers. To give our colleagues an opportunity to overcome isolation, SurgicalPerformance and AGES are collaborating and will host our first Morbidity and Mortality online meeting. The meeting will take place on the 15th August 2018 at 8.00pm AEST. We invite SurgicalPerformance and/or AGES members to book your participation today. Should you wish to present a case with the group, click here. The Morbidity & Mortality meeting should give clinicians an opportunity to review medical management, create self-awareness, generate insights about patient care and identify areas of improvement. The literature reports that meetings like these can reduce poor outcomes by up to 40%. What cases will be discussed? We will discuss all cases of morbidity or mortality; close calls; complaints; any incidents with the possibility of quality improvement. On this occasion, cases should be either in obstetrics or gynaecology. If we expect that cases with a general surgical, urological or medical component will be discussed, we will invite the respective experts along. The session will be introduced by the moderators. Each case will be presented in PowerPoint format for 10 minutes. There will be a summary of the facts, followed by a discussion among participants. The learning points will be summarized by the moderators. Each case should take no longer than 15 minutes and for the first session there will be two cases only. To register your participation, click here today. To register, you don’t need to reveal your real name and you can keep your camera off. Moderators and presenters will make sure that references to patient ID, time and place remain confidential. The focus of the session is on learning in a threat-free environment. To present a case at the Morbidly and Mortality meeting, click here. To join the meeting as a participant, click here.